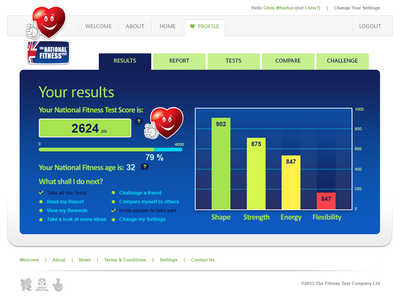 The National Fitness Test website allows you to test your own fitness, track your progress and then share and compare your results. This is the icon / illustration for the Shape test from the National Fitness Test website. 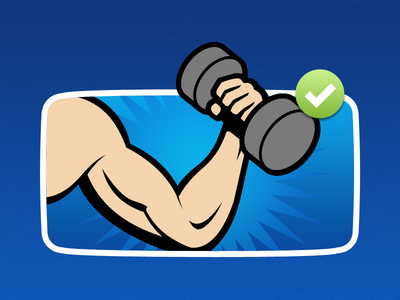 This is the icon / illustration for the Strength test from the National Fitness Test website. 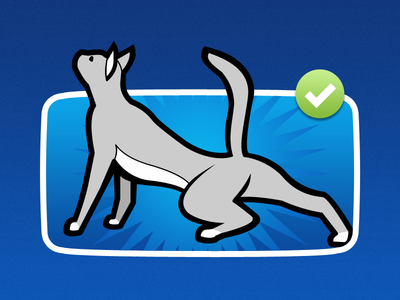 This is the icon / illustration for the Flexibility test from the National Fitness Test website. 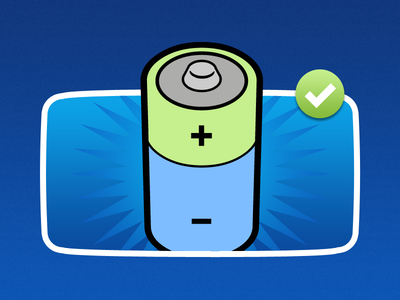 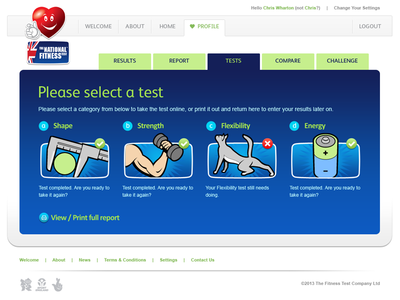 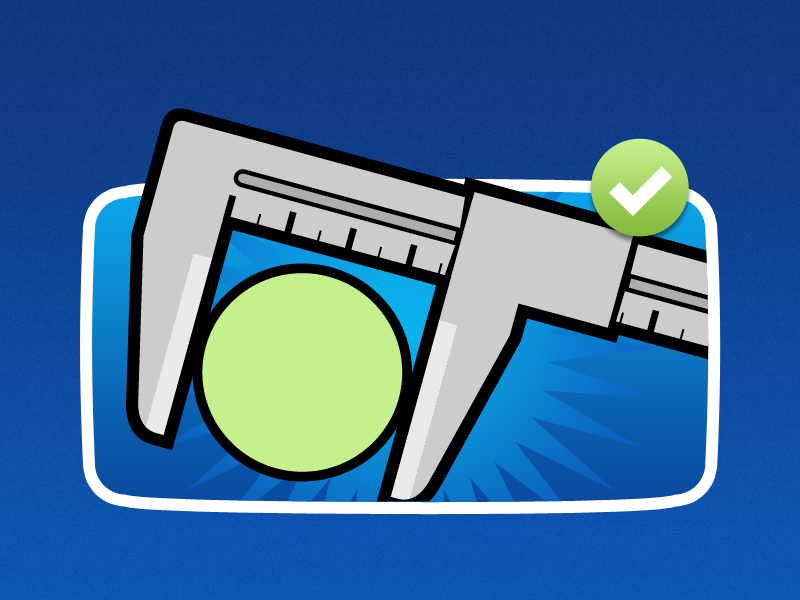 This is the icon / illustration for the Energy test from the National Fitness Test website. 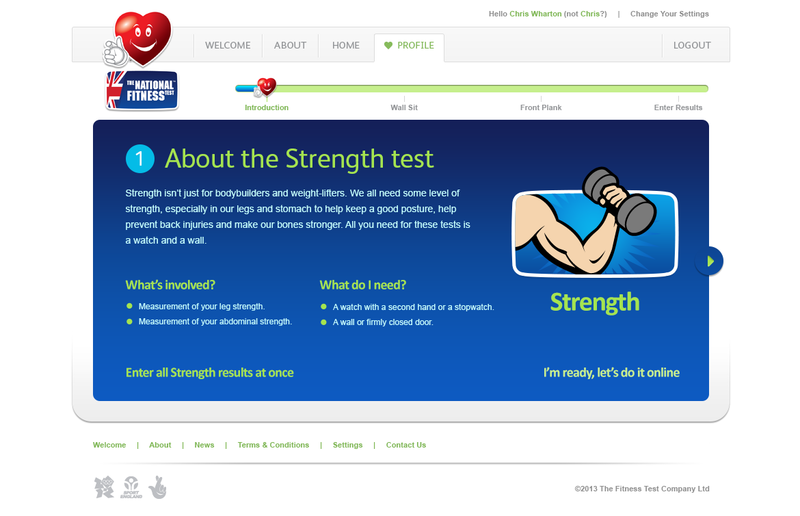 This is the Strength Test introduction page of the National Fitness Test website. 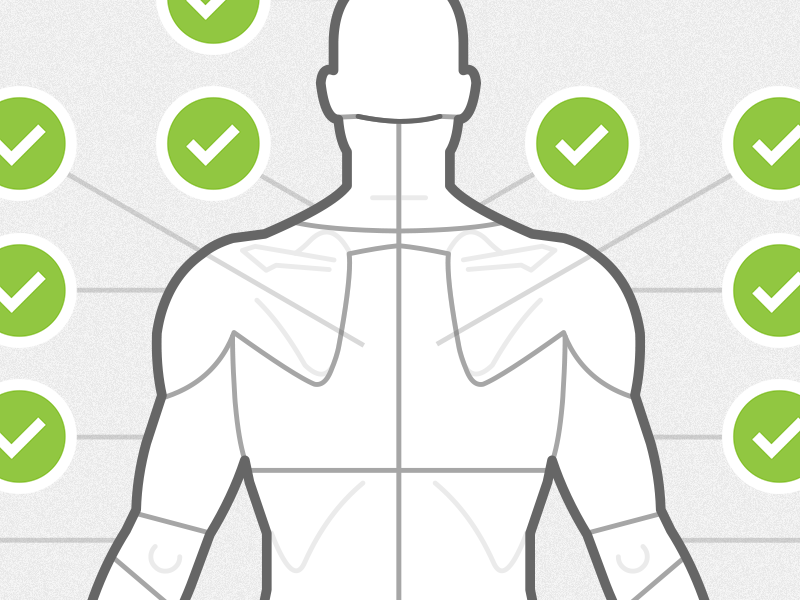 This section guides you through the process of taking the test using a timeline to help track your progress. 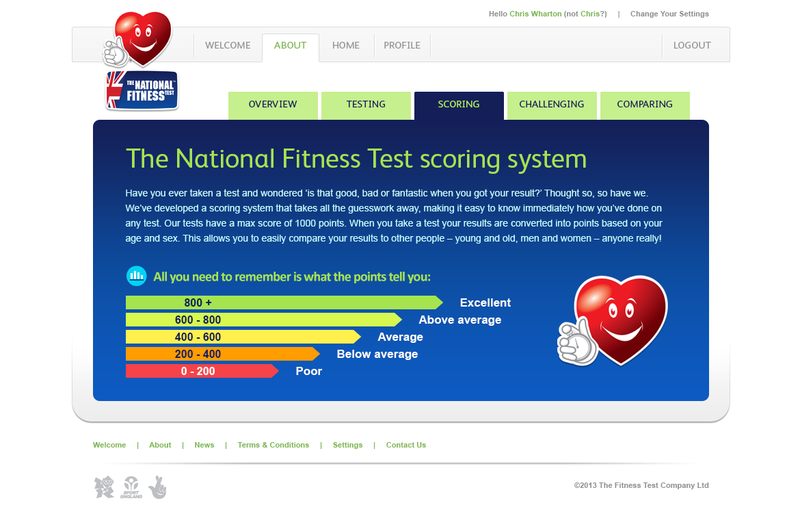 This is the Test selection page of the National Fitness Test website. 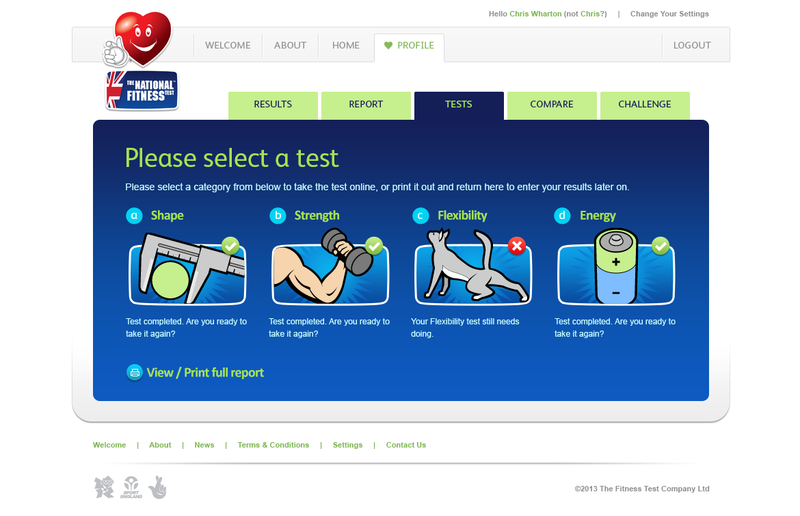 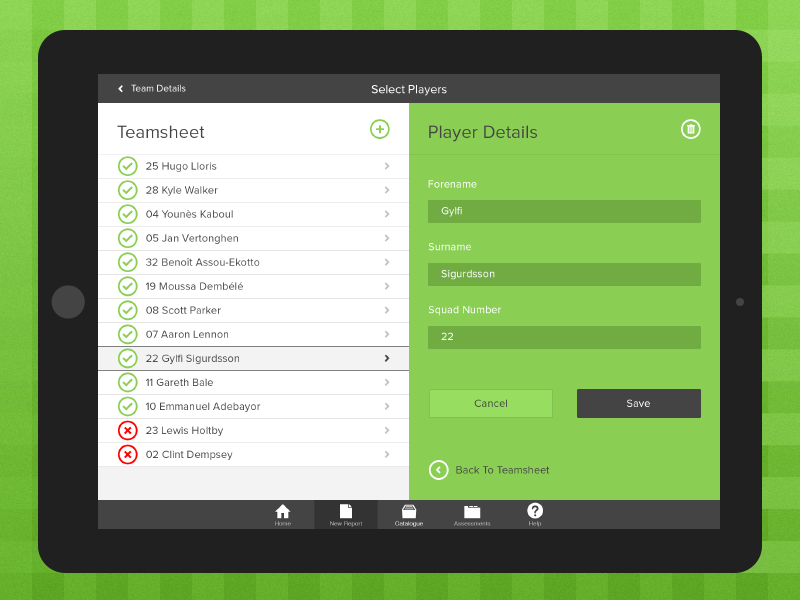 Here you can select which test you're going to take from the categories of Shape, Strength, Flexibility or Energy. 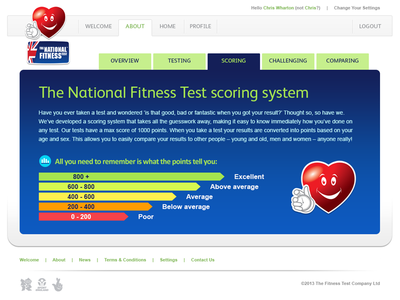 This is the Scoring page of the National Fitness Test website, one the pages from the About section that explains the concept of the website. 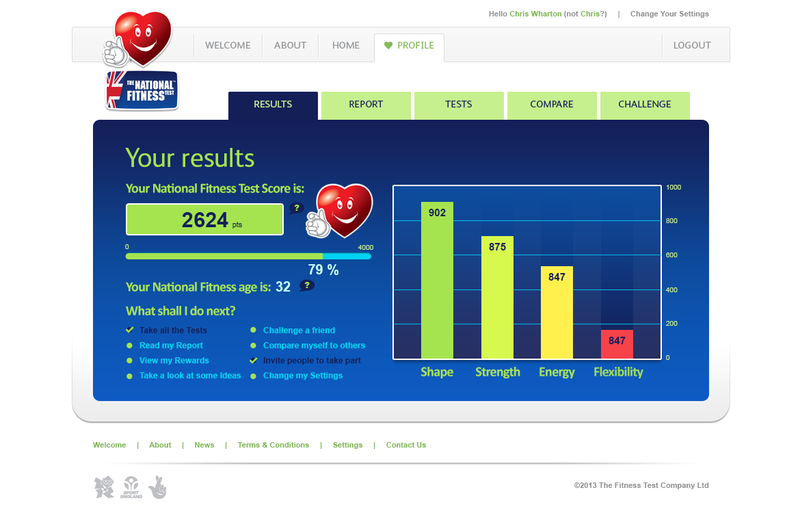 This is the Results page of the National Fitness Test website. 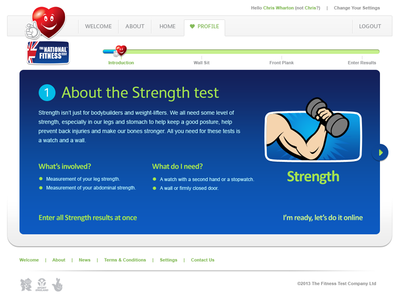 This website allows you to test your own fitness, track your progress and then share and compare your results. 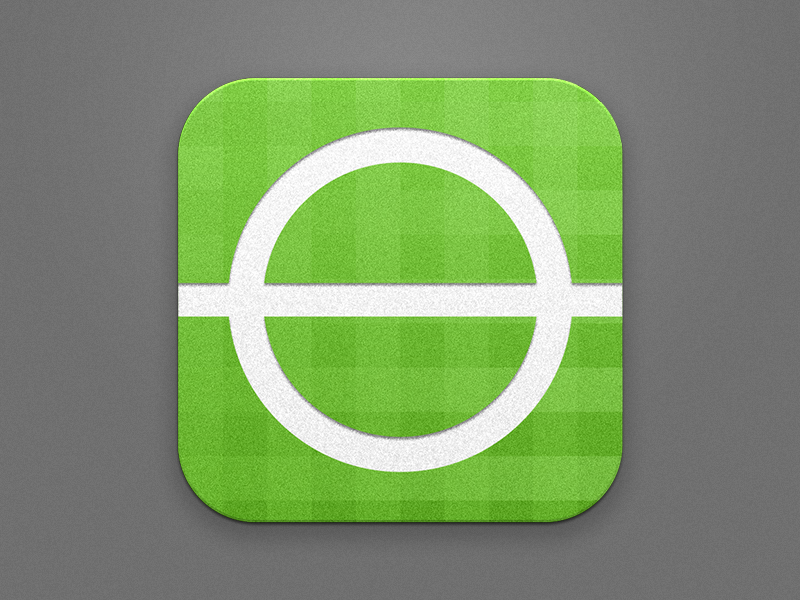 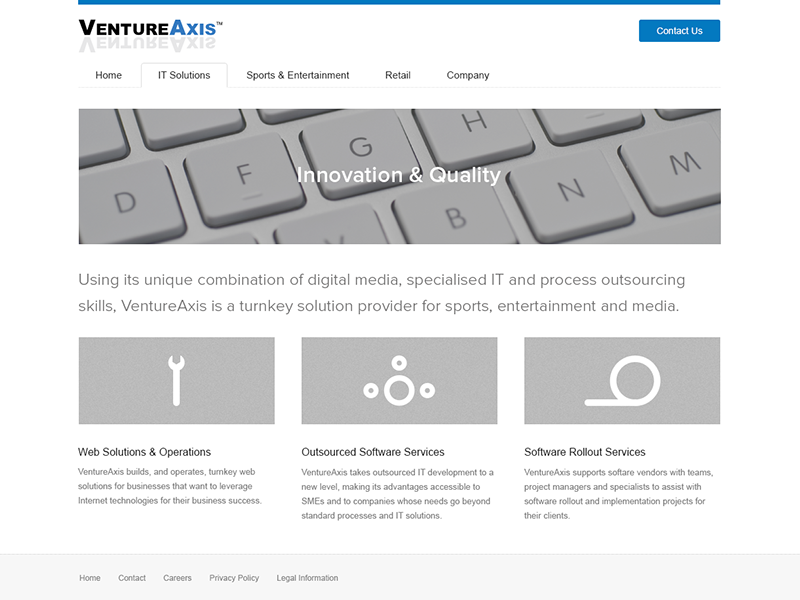 Full size version is also attached.